At a recent IDC CMO Advisory Service board meeting, a fellow marketer described content design and delivery as “art wrapped in technology.” The same could be said for marketing overall today. There’s still plenty of art involved in marketing: Positioning, messaging, compelling content, clear writing, strong visual imagery are all critical elements of an effective marketing program or campaign. But technology, particularly in the form of data and analytics, plays a growing role in today’s digital world. Marketers need to be able to manage and understand data and learn how to gain insights from it in order to make better decisions and help our customers realize better results. In two new articles published by The Economist Intelligence Unit and sponsored by Avanade, we focus on how companies can capitalize on data in the digital age. Data and analytics can help the digital enterprise leverage every asset, resource and opportunity to accelerate growth, drive new levels of productivity, remain flexible in a constantly changing business climate and better serve their customers. Data access: Data must be made available to all areas of marketing. This includes field marketing as well as corporate marketing. And it applies across all roles, from solution marketing to communications, from campaign marketing to customer evidence, from events to account-based marketing. Data skills: Companies need to find the right mix of data skills and talent within their workforce. For marketing, this may mean recruiting different types of marketers (what many refer to as “marketing technologists”) as well as teaching existing marketers new skills. It may also mean borrowing someone from the analytics or IT team who has an understanding of marketing to help jump-start a data-driven approach. Data tools: The availability and use of data must be coupled with intuitive and dynamic tools and visual representations of data to facilitate insights and action. For marketers, these may include tools focused on web, social, mobile, media and predictive analytics, among others. Moving toward a data-driven approach can be challenging for marketers used to focusing on the art, rather than the technology, of marketing. But it is imperative in order to ensure marketing’s effectiveness in the digital world. 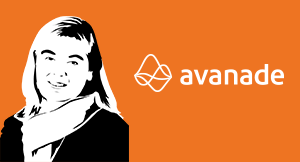 At Avanade, we have begun to apply a data-driven approach as part of our marketing effectiveness program, which we launched two years ago. Technology and data play a significant role, particularly in the areas of marketing automation, social listening and analysis, and measurement and reporting. For instance, we are connecting our social listening and engagement engines to our sales automation system. 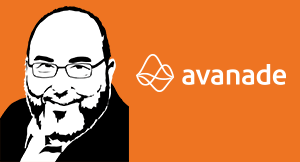 This enables us to develop an omni-channel marketing strategy that helps our customers get the information they want from Avanade. It also helps our folks in the field better understand what customers are looking for and how we can best assist them. The art of marketing won’t go away, but it will continue to be balanced by an increasing focus on technology. Companies are looking to see what affects a person’s decision to buy, especially emotional and behavioral factors. But you have to collect the right data.